Historic San Francisco grill saved by fire crews after a "flue fire"
The City's oldest restaurant was the victim of a $150,000 fire on Monday. 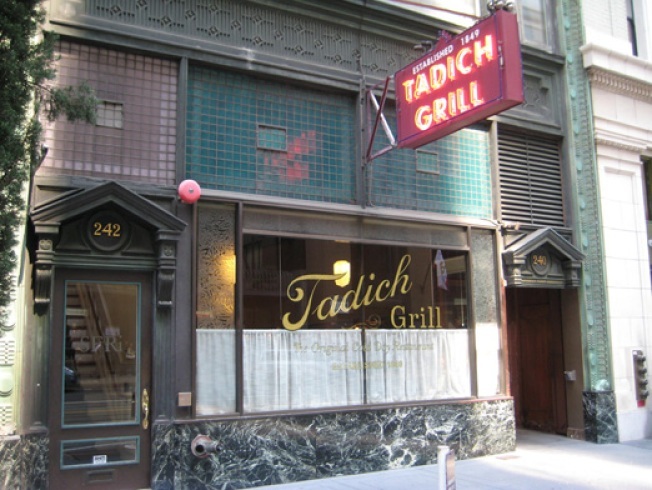 San Francisco's oldest restaurant nearly went up in smoke Monday but luckily for Tadich Grill it was able to handle the heat. 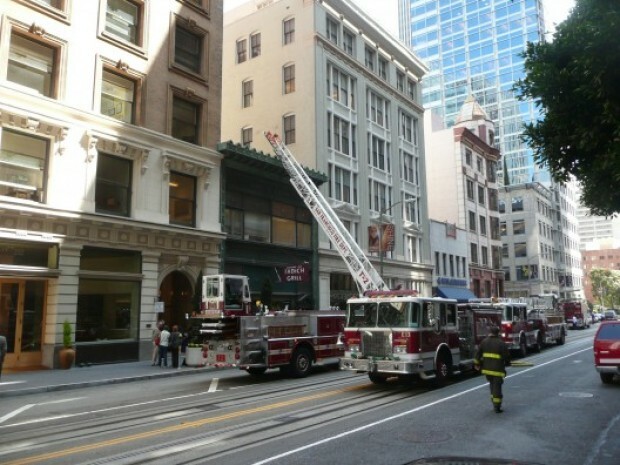 Firefighters responded in force to a two-alarm fire at 240 California St. in San Francisco midday Monday and a man who answered the phone at Tadich Grill confirmed the building was burning. Fire crews estimated the damage at $150,000. An employee, who answered the restaurant's phone on Monday afternoon, said despite the damage the cafe grills will back on Tuesday at 11 a.m. and the menu should not be effected. The historic restaurant was opened in 1849. Deputy Fire Chief Pat Gardner told the San Francisco Chronicle the fire originated from a wood-burning stove and was a "typical flue fire" that wasn't "severe enough to keep it out of operation for long." An adjacent building at 230 California St. sustained exposure damage estimated at $10,000, according to the fire department. But there were no injuries. A NBC Bay Area viewer sent in a picture of smoke from the fire, which she took from a downtown high rise building. It was mostly white smoke, which usually indicated crews have control of a blaze. Another viewer wrote in to say he worked at 555 market and saw 10 to 12 fire emergency vehicles with lights and sirens passing his workplace at 11:26 a.m.